The government has agreed to visa exemption for tour groups from China on a trial basis. Home Minister Datuk Seri Ahmad Zahid Hamidi said the move was decided by the Cabinet yesterday. He said the implementation date of the trial period would be announced by the Tourism and Culture Minister Datuk Seri Mohamed Nazri Abdul Aziz soon. For full Bernama report read HERE. Our country experienced a drastic drop of 500,000 tourists from China for the first quarter of this year. From the record of Malaysia Tourist Promotion Board, each tourist from China on average spent RM3,401.00 in Malaysia. Therefore, for the first quarter of this year, we have lost about RM1.7 billion tourist dollars, which was a huge sum for any economy. MyFest 2015 is a campaign to boost the tourism sector and ensure that the Malaysian tourism industry remains robust after the Visit Malaysia Year 2014 Campaign, HERE. The government should also look into abolishing the “Service Charge” imposed for visa applications for the Chinese tourists because it is several times higher than the visa fees charged by our embassy. It is totally unnecessary and another hindrance for our potential tourists from China. It is now timely for the government to implement visa application online like other countries. This will make it easier for the Chinese tourists to visit MalaysiaTrulyAsia. It will no doubt improve the number of tourists from China visiting MalaysiaTrulyAsia. Whether or not the said visa exemption could recoup what we have lost for the last quarter is left to be seen. Of course, Malaysia Tourism Promotion Board had to work harder and think out of the box to promote MalaysiaTrulyAsia in China. Many roadshows and sale missions have already being planned and will be launched in a big scale in various cities in China in the very near future. Previous SC & Bursa KL: Have You Checked The “Accounting Practices” Of AirAsia? when you took this new job…does it mean you have to stop writing about AirAsia? I will still write on matter of interest to the readers for discussions. My guideline has always been whether the matter at hand is of national or public interest. Please rest assured I will still write about any airline on matter which affects public interest i.e questionable accounting practices. I would say it is a positive move and worth a try. If the Pariah plays more with the accounts then YB should write about it. For that matter, we all should condemn and write more about it. Why should YB stop. As long as it is factual, I hope YB will carry on to write like before. There is no room for con man in our market place! We want receipts from the Chinese tourists and at the same time we set up barriers all over the place. The government must decide once and for all. You want money or playing games. I never knew about appllicats for visa have to pay Service Charge! This is the Boleh Land. By the way, the specialservice charge paid to who or which company. The company and person behind the company raking in hundred of million RM yearly. The Ministry of Home Affairs please tell us the company belongs to who? Who is that big shot??? 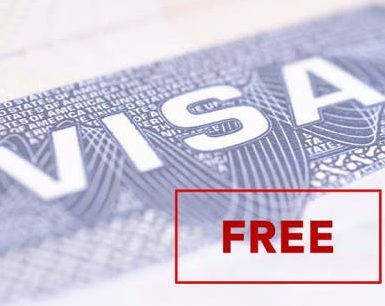 Kita kena KENAKAN BALIK PENGGENALAN VISA kepada NEGARA-NEGARA YANG TERLALU BANYAK PENDATANG HARAM di Malaysia..